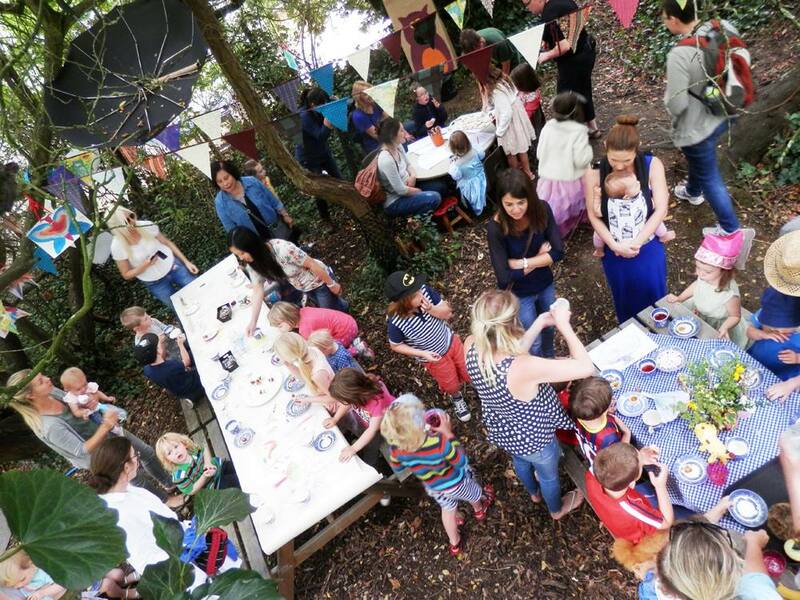 Swindon is a town full of wonder (and culture) – it just needs to shout a little louder! To those of you who know me, this post may seem a little surprising – I have spent most of my life deriding Swindon… and this post is my attempt at redemption. The reason for writing this post stems from the recent telegraph article, referring to Swindon as “ugly”, it was unnecessarily negative, and hopefully in this post I can highlight some of the great things to see and do in Swindon. The truth is, that I have spent most of my life ignorant to all that Swindon has to offer (this is partly my fault, partly Swindon’s), I simply assumed that it had nothing to offer me and in return it was never clear to me what was on offer. Enough of my ignorance, let’s talk about Swindon! Let’s start at Poetry. Over the last few months I have been attending the Poetry Swindon open mic nights. They are great fun, with some excellent Poets on show. I have been reading my poetry at each one since June and it’s getting a little easier, although I still have a long way to go! Me reading Poetry – don’t know what my tongue is thinking! 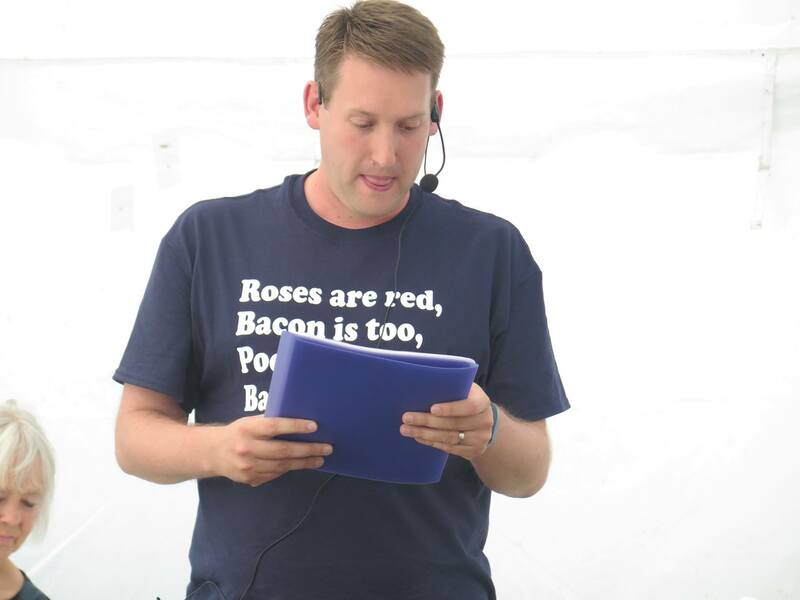 For those of you interested, the t-shirt reads “Roses are Red, Bacon is too, Poetry is hard, Bacon.” It made me laugh! Coming up in October is the Swindon Poetry festival – five days of brilliant poetry with some incredible guests including Jo Bell, Tania Hershman, Kei Miller, Robert Vas Dias, Richard Skinner, Pascale Petit, Jacqueline Saphra and a million other people and things (ok maybe not a million, but you get the point!). Moving away from poetry, over the last few weeks (the summer holidays), my children and I have spent time visiting all of the main attractions that Swindon has to offer, following are some of the things we encountered. The Richard Jefferies museum and it’s “Magic Mondays” attraction, my kids love it, two hours of crafts and adventure in the world of Richard Jefferies. A “Magic Monday” at the Richard Jefferies Museum. The Museum itself is a wander through the life and works of Richard Jefferies. This unique old farm was the family home and birthplace of Victorian nature writer Richard Jefferies (1848 and 1887), who was passionate about the place and about the rich natural world that existed in and around it. In his short life (he was 38 when he died of tuberculosis), Jefferies produced a huge array of literary works, including detailed accounts of his beloved countryside; novels; children’s books (later illustrated by Winnie-the-Pooh artist E. H Shepard); articles for local and national press; and even post-apocalyptic fiction. 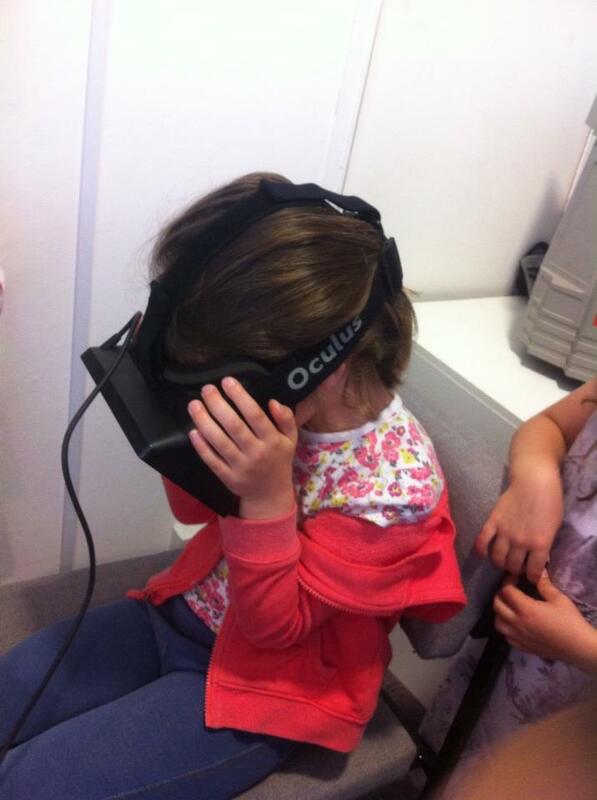 My daughter Grace, at the Museum of Computing, trying the Oculus Rift. The children didn’t seem to be as disoriented as the adults. The Museum of Computing, a walk through the history of everything computers, we even got to try the Oculus Rift machine… it made me feel pretty ill, but it was a fantastic experience. The Museum is quite small, but packs a lot in – we spent a few hours making minecraft models, which was great fun for the kids. Steam, Museum of the great western railway – one of my favourite museums in the country (second only to Tate modern!) – you get to see the railway heritage of Swindon and even climb inside real steam trains! There are loads of things to see and do – it is a great day out and being right next to the Swindon outlet centre, you can also cram in some shopping (should you need to). 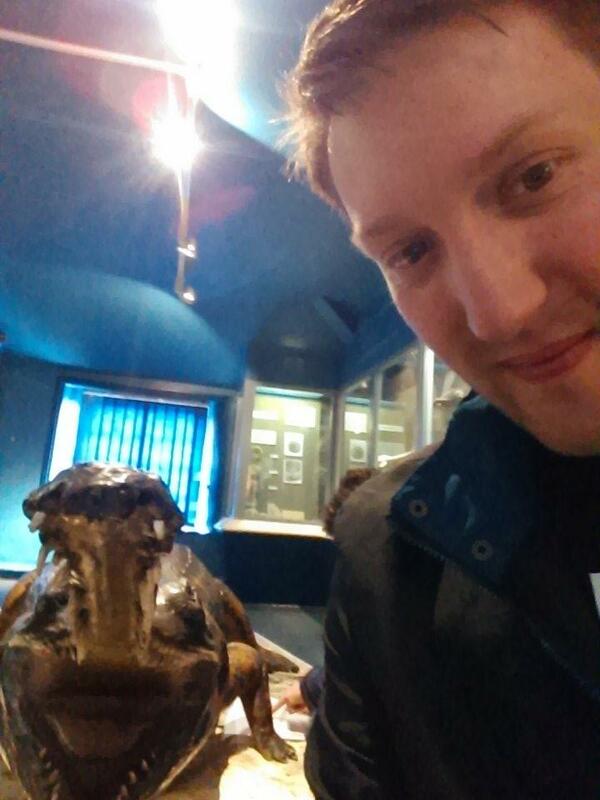 Me and the Swindon Museum and Art gallery Croc! The Swindon Museum and art gallery – the most under-rated museum in Swindon and possibly the world! It has three floors of historical images, artefacts and information about Swindon, and the most incredible collection of art, it is constantly being updated and rotated, so there are lots of reasons to re-visit. Most incredibly, it is absolutely free – I can’t imaging how many people from Swindon have never been, but it is a regular visiting place for my family and we enjoy it every time. Finally, Lydiard house – we plan to visit this next week to complete the five museums in five weeks challenge! The grounds of Lydiard park are already a favourite place for us, and it is shameful on my part, that we have never visited the house before, but I am thoroughly looking forward to it! Swindon needs to shout about its culture, and all of the wonderful things that are happening here. Without this self-promotion, people will continue to under-estimate and devalue all that Swindon can offer. This entry was tagged Culture, Poetry, Swindon. Bookmark the permalink.